White blood cells (often known as leukocytes) are an essential part of human immune system. When the count of these cells is less than 3500 WBC/ml of blood, the condition is known as leukopenia. This condition is associated with symptoms like headache, sore throat, sneezing, sore gums, diarrhea, cramps, fever etc. Apart from sufferers of leukopenia, individuals who have white blood cells count below 4000 WBC/ml of blood are required to take a few measures in order to elevate these cells in the body. The easiest and yet simplest method to resume your normal white blood cells count is to make some changes in your diet and lifestyle. Listed below are some steps by following which you can increase your white blood cells count. In case you are overweight you need to lose some weight as to bring your weight somewhere in the normal range. Being obese is invariably a significant hurdle towards obtaining good immunity. Scientific studies suggest that people who are overweight face more difficulty in fighting off an infection. Drinking lots of water can not only help in boosting the immune system but also helps in flushing various toxins that may affect white cell consumption in the body. Exercise and regular physical activity is believed to be an excellent booster of immune system. It is better to exercise moderately as too much exercise can affect the health and wellness negatively. Relax not only for immunity but even for your overall health you need to avoid stress and keep yourself relaxed. It is no surprise that stress is referred to as a silent killer which in turn negatively affects the immune system. Minimize the intake of sugary foods and beverages that also affect the production of white blood cells. 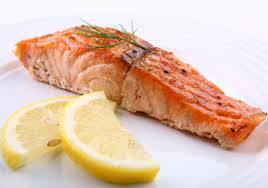 Eliminate all sorts of unhealthy fats from your diet. The polysaturated fats found in the vegetable oils like sunflower and safflower oil act as an obstacle to a healthy and stable immune system. Along with carrots other dark green leafy, orange, yellow and red veggies supply a lot of beta carotene that helps in protecting the immune system. Also its special protective effects are seen on the thymus gland. Beta carotene along with other carotenes enhances the production of white blood cells. 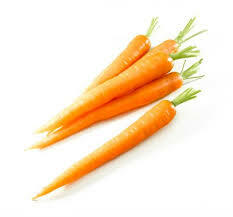 Consuming the foods that contain beta carotene actually help in fighting off the infections. 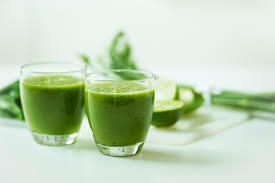 You can fulfill your optimal daily vitamin requirements from a cup full of kale. It is an antioxidant which helps in white blood cells production and assists the body in fighting cancer cells. By consuming the vitamin A present in kale, the capability of antibodies to counter invading bodies increases. According to Dr. Bill Sears, cooked turkey is a food that is enriched with zinc that helps in increasing the white blood cells count. He strongly recommended taking 15-20mg of zinc every day. Whereas, a 3 ounce dark meat turkey serving can supply only 3.8mg zinc. 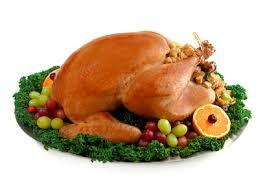 The proteins present in the turkey can boost your energy levels and strengthen the immune system. Before eating it, make sure you cook the turkey to the temperature of 140 degrees F or above. Cancer Supportive Care Programs suggests that food-borne infectious agents or pathogens have a higher propensity to cause disease in individuals with a low white cell count. Other beneficial foods include: navy beans, dark grapes, crab, guava, almonds and chicken. Listed below are some supplements that play a major role in strengthening the immune system and increasing the white blood cell count. Oleander extract is a herbal supplement. Oleander based supplements has increased white blood cells in immune-compromised AIDS/HIV patient in clinical trials. Astragalus root stimulates the white blood cells and provides protection from invading bodies. It increases production of natural interferon to fight off viruses. Zinc is important for white blood cells and acts as a catalyzing agent in killing process against foreign bodies by immune system. Vitamin C quickens the immune system’s response and facilitates functions of white blood cells. Trace mineral selenium helps in movement and development of white blood cells. Siberian and Asian ginseng strengthens the immune system. Echinacea stimulates immune system in many ways along with increasing the production of white blood cells. Green tea enhances white blood cell production.